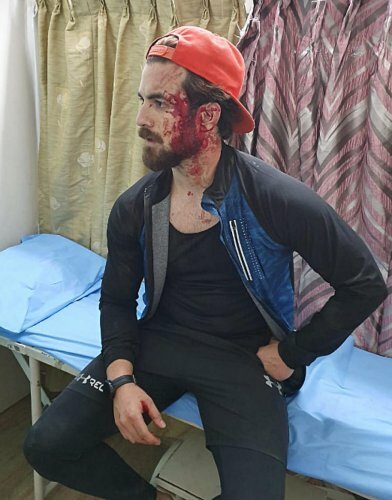 A 24-year-old Kashmiri student was assaulted by a group of four youths in AECS Layout near HAL in southeast Bengaluru on March 20, media reports said on Sunday. The victim, who does modelling to fund his studies, told Decan Herald he had no idea why he was assaulted. Absar Zahoor Dhar, from Srinagar in Kashmir, suffered grievous injuries to his hand, head and face. Based on his complaint, the HAL police arrested the accused, identified as Nithin (25), Manjesh (21), Gautham (26), and Abhi alias Santhosh (20), all residents of Kundalahalli Colony, Decan Herald reported. Trouble began for Dhar, a civil engineering student at the CMRIT College, on the evening of March 19 when he had gone to the gym. As he was having coffee at Madouk Cafe, a group of four to five people, one of whom identified himself as Nithin, approached Dhar and accused him of eve-teasing. Dhar politely refuted the allegation, following which Nithin and his associates warned him and left the café, the report mentioned. The next day, the four accused persons armed with iron roads and caught Dhar at an ice-cream parlour in AECS Layout dragged him out of the shop and began assaulting him without any provocation, the report by Decan Herald said. Dhar told Decan Herald that this time when he was assaulted his friends rushed to his help or else they could have killed him. Dhar according to report is living in panic and not attending classes, as all the four accused eros shave obtained bail. “I am living in fear and not attending college as the assailants roam free in front of my house as if nothing has happened,” Dhar was quoted by Decan Herald as saying.